I started reading this book the other day and so far I'm enjoying it. I'm on page 122 of 304 and should have a review up later this month. I'm also reading this for the 2011 Debut Author Challenge. 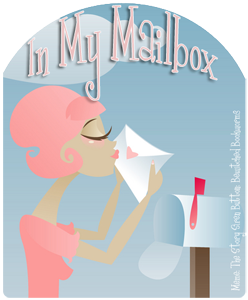 Putney has written a number of romance novels for adults, but this is her first YA book. Big thanks to M. J. Putney and St. Martin's Press for this opportunity! I'll have my reviews up for this series later this month and through March. I have to say, I'm loving the pink on this cover! That's it for this week! I know, a tiny mailbox. I still have a ton of books from last week (and the week before). I actually showed restraint this week. Isn't that great? Or, you know, the books I ordered through inter-library loan just haven't arrived yet....but whatever, I'm ignoring that totally taking credit here. *be's baffled* Team Puck? Team Puck???? Well, I guess I should judge. And that does leave me with more Ash. I'm totally looking forward to reading both of these too. Hope you have a good time with them. I have yet to read the Iron fey books (I have the first one..I might wait til I have the others to read it) I've heard good things about them though I need to hurry up and get the others. Have a good weekend! I've finally finished reading True Confessions and I've already written a book review. 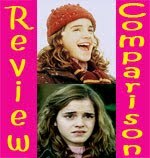 It was really great though I am now tearing my hair trying to find a copy of the sequel! I'm totally adding Dark Mirror at my TBR! Hope you like Iron Queen as well! 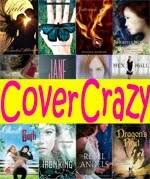 nver read any of the books in the Iron series, but I do agree with you - that pink cover IS pretty! Have fun reading! Wow both fabulous book! I have Iron Queen on my bookshelf and can't wait to get my hands on a copy of Dark Mirror. After your post yesterday and the mention of the like boxes under posts, I went to check it out and found it in the 'post' section of the template under the Design tab. 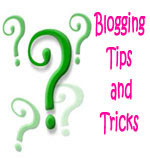 I changed mine yesterday to add them in but for some reason they haven't shown up in my new post. Still working on that one, but they are there. 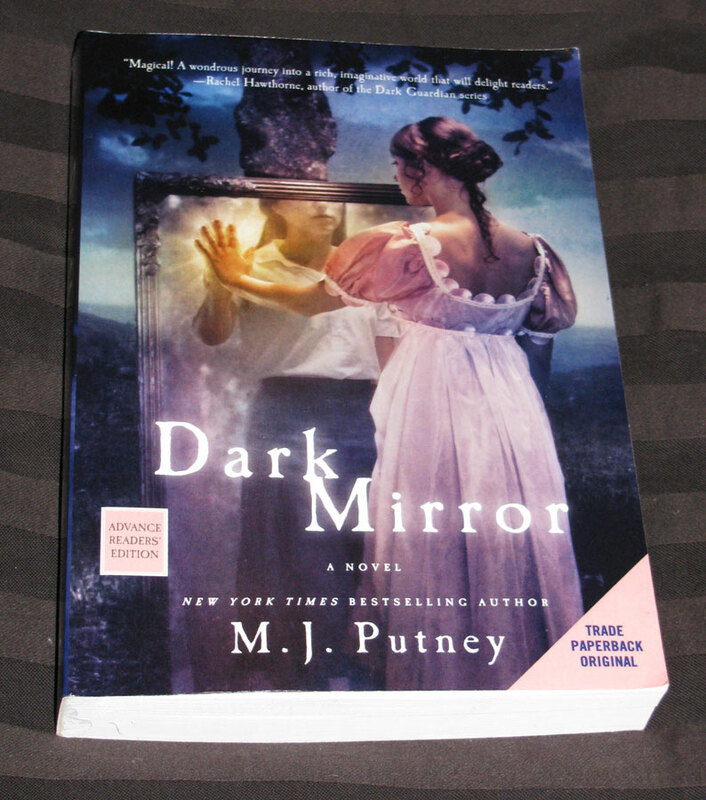 I am a big fan of Putney's adult books and so I am very much looking forward to reading Dark Mirror. I also really like the Iron Fey series. Happy reading! I got the audiobook of Brideshead Revisited from the library, but only because it's narrated by Jeremy Irons. Dark Mirror is certainly making the rounds this week, I can't wait to read that one. I'll definitely be looking for your review. And I adored The Iron Queen, but I'm Team Ash even though Puck is a fabulous character. Can't wait to see what you think! Stephanie, Thanks for the info! Nina, Hehe, oh yes. If they ever come! I’m not very patient :P Thank you for the link to your review! I’ve been really looking forward to reading your thoughts about that book. Nic, Oh good to hear about the Iron Queen! I had some other books I was planning on reading first, but I’m not sure if I’ll be able to wait. Stephanie, It is very pretty in person :) I’m enjoying the Iron Fey series more than I would have thought. I never really liked fairy stories, but now I do! Yiota, I hope you like Dark Mirror! It comes out March 1st, so not too long of a wait! Maggie, Thanks! 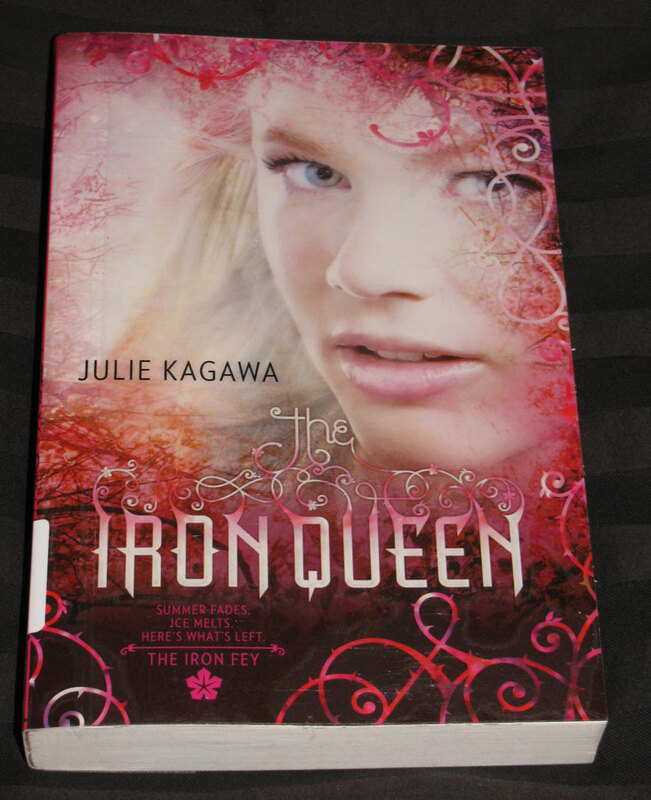 I like the cover for Iron Queen better too, but that’s because it’s pink :P They’re real fast reads and a lot of fun. Linds, Isn’t it? Harlequin Teen did a great job with packaging the Iron Fey books. Those pretty swirls on the covers are all over the chapter titles too. It’s very attractive. Books for Company, I’ll let you know! The Slowest Bookworm, You know, I don’t even remember what I said about the “like” boxes! Sorry! Thank you for updating me though. I looked into it and added a like button here now. I’m not sure I like it, but I’ll see. Thanks for the tip! I hope it shows up on your blog. Kathy, I was wondering about her adult books. I’m curious to see how her YA book compares. It does have a bit of a “this was written by an author who writes adult books” feel to it. Bookish Hobbit, MMMm Jeremy Irons narrating is reason enough! Jenny, I thought I might see a bunch of Dark Mirrors this week :P I haven’t actually seen any yet, but I still have a lot of mailboxes to visit. I’ll be interested in seeing everyone’s reviews for it. I’m so happy to hear you loved The Iron Queen! The amount of restraint you've shown! I always end up with double the books I had planned on buying.. Oh!! I hadn't connected who was the author of Dark Mirror! I have read her romance novels, they are quite good. Oh I'm so very jealous Dark Mirror is one I really want to read. Will look forward to reading your review and thoughts. BTW did you request the ARC from the publisher or did you just end up getting it mailed to you and were surprised? Hey! Nice IMM. You're going to love the Iron Queen, and not just because there's more than enough page time as far as Puck's concerned! Hope you enjoy your books. Have a great week. Here's my IMM.. I'm really looking forward to Waterfall and Dark Mirror, so I can't wait to see what you have to say about them. How is the emailing going with comments? Is it really time consuming on your end? I love getting the alerts and am curious about how hard it is to implement. Celine, :) So do I! I’m terrible. I cleared out an entire drawer of clothes just so I could make room for more books. Alex, Good to know! I’m curious about how her romance books compare to this one. The main character here doesn’t really “feel” like a YA. Logan, I have my Waterfall review scheduled for March, but I’ll say now that I adored it! I would so go back in time and risk the plague for those men! Emailing isn’t too bad at all. As you’ve seen, I just copy and paste in a form response and a link to the post (which is already generated in my email alert and carries over when I hit reply). I’m sure there’s an automated way to do this, but I don’t know it! I’m glad to hear you like getting the alerts. I was wondering if people liked it or thought it was annoying. Dark Mirror looks really good! I had to add it to my to read list on Good Reads! Wow, all that e-mailing sounds like a lot of work! I had assumed it was automated. I have been meaning to read the Iron King forever, and it seems like I blinked, and suddenly it's a trilogy. Some of my interlibrary loans are taking ages and ages to arrive! Oh, well, it's not like I don't have a stack of ARCs at home to plow through. Madigan, It's not that bad at all. I have the email mostly automated. I just need to hit "reply" It's a nice double check on my end to make sure I didn't miss replying to any comments. The Iron Fey books really were published very quickly it seems! I like that though. I'm a lot less likely to read a series if there are long waits between books. Cialina, You won't have to wait long :) I just got to a part in the middle where everything's suddenly changed! I'm very excited to see where things are going. Great Books! Love The Iron Queen-- hope you enjoy! Puck will be in the book, after Meghan erm... (I don't know if this is a spoiler) gets back to the Faerie world and starts her quest. He's not as prominent as the previous books though. More like the comedic relief. Enjoy Dark Mirror. It looks really good! I absolutely loved The Iron Queen! Need Tea, I don't consider that a spoiler. What else would they do? :P Too bad. I was hoping for more Puck time and less Tall, Dark, I'm Willing To Kill You. Kristina, Thanks! Glad to hear you enjoyed The Iron Queen. I'm waiting for Dark Mirror to get to me. I hope you like the rest of it and will be looking forward to your review. I finally got the Iron King. So excited to read them! Jessica, I hope you enjoy Dark Mirror when it arrives :) Yay for The Iron King! I'll be keeping an eye out for your reviews. And will be interested to see what you think of Dark Mirror - that one's on my list as well. Danya, Yay for Puck! No, there really aren't much of us. But that' fine. More for us :) I should have a review up for Dark Mirror on Saturday. The measures we take to be able to keep buying books..